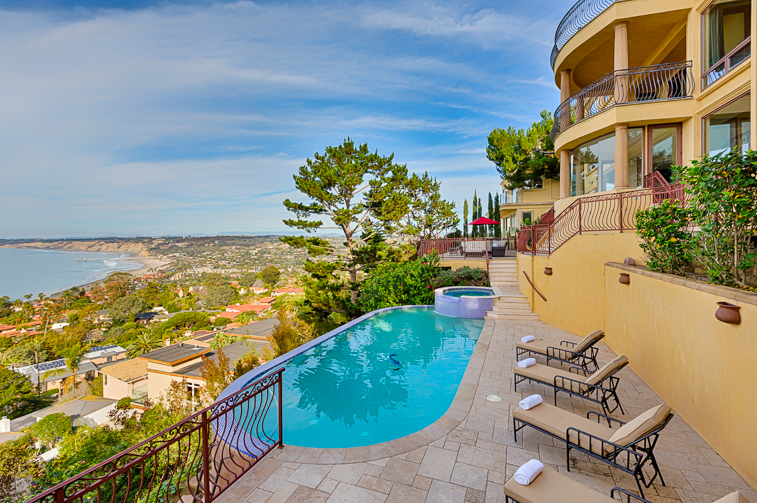 Welcome to Stunning Sunsets estate of La Jolla! 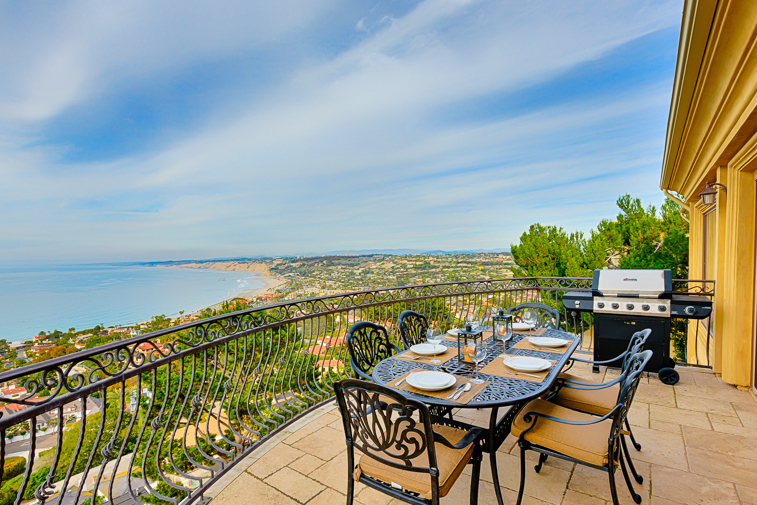 La Jolla ocean view from terrace with dining for 6 and grill. 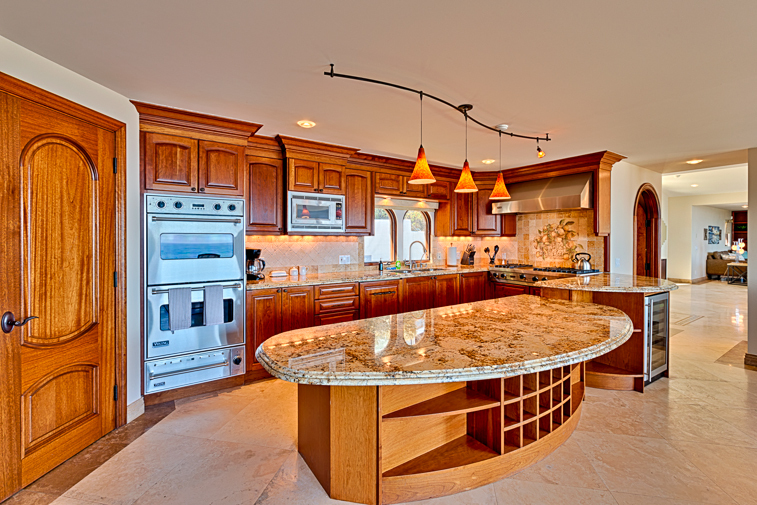 Granite countertops, large breakfast bar, and cherry cabinetry. 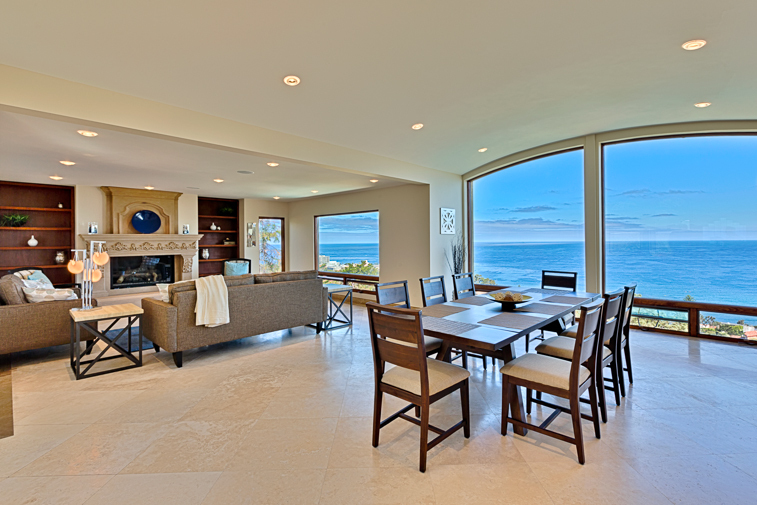 Living room with large picture windows and a gorgeous ocean view! 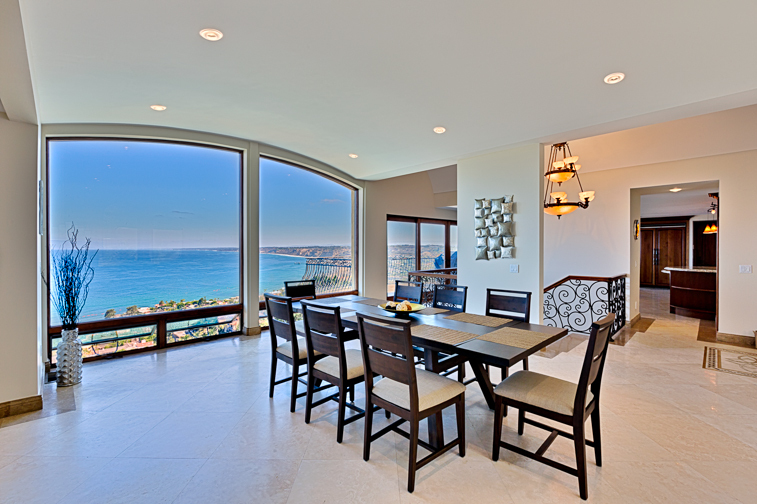 Dining space for 6 with floor to ceiling ocean views! 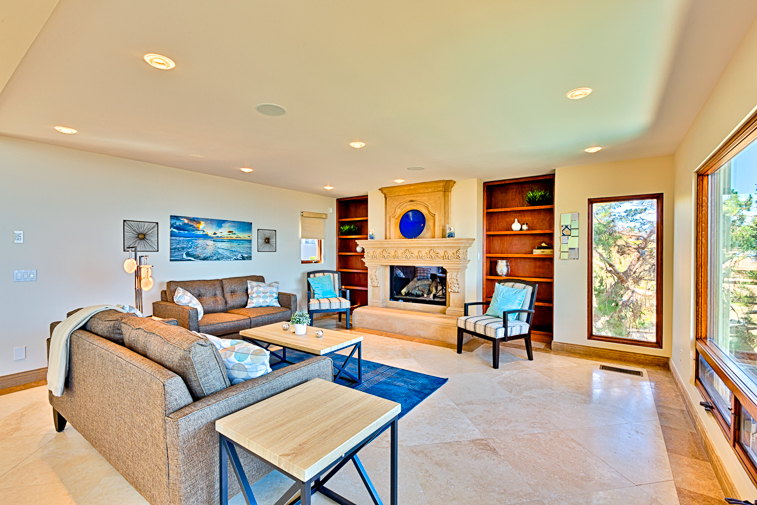 Living area with fireplace and large picture windows. Dining space with modern decor. 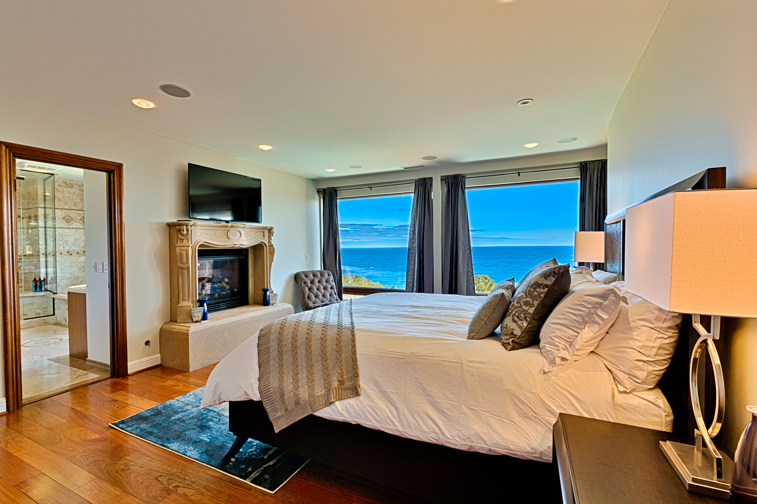 Master suite with ocean view, fireplace, walk-in closet and private bath. 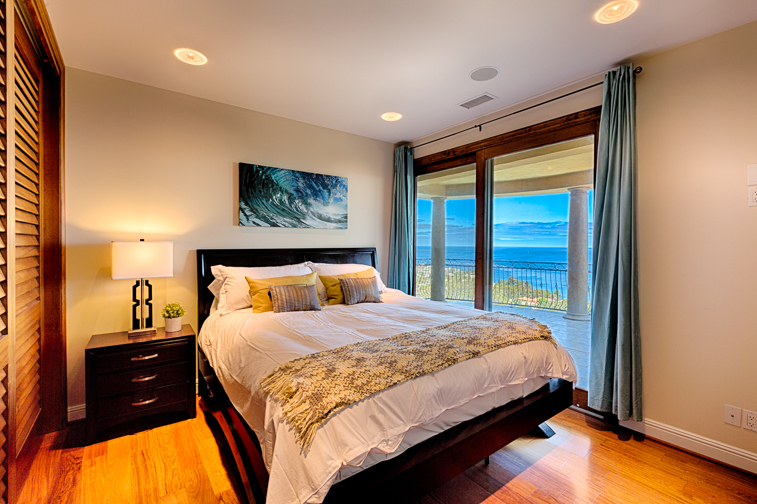 Alternative view of the master suite with ocean outlook and private entrance to the balcony. 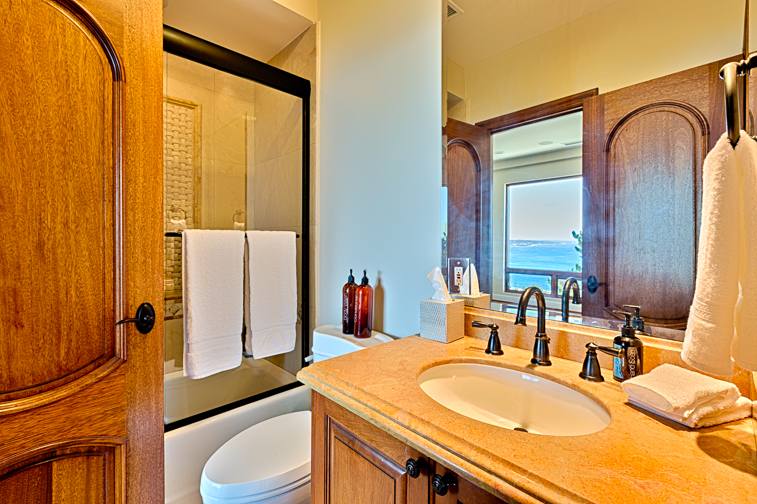 Master bath, huge mirrors and luxury views. 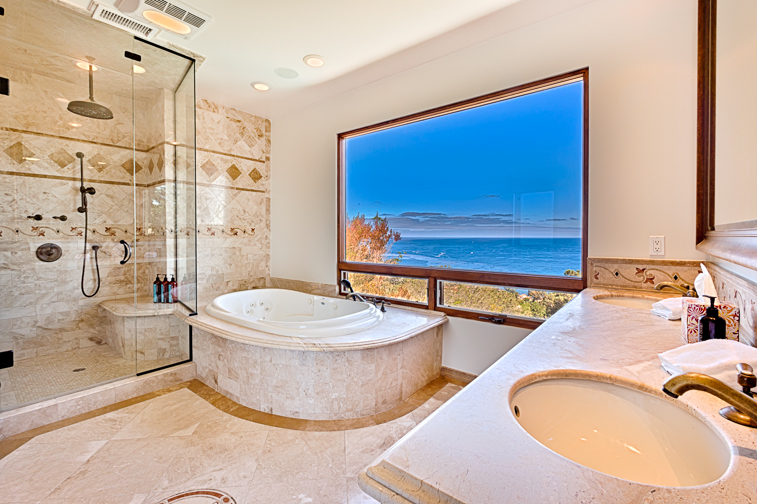 Master suite bath with marble tub and separate shower overlooking the ocean. 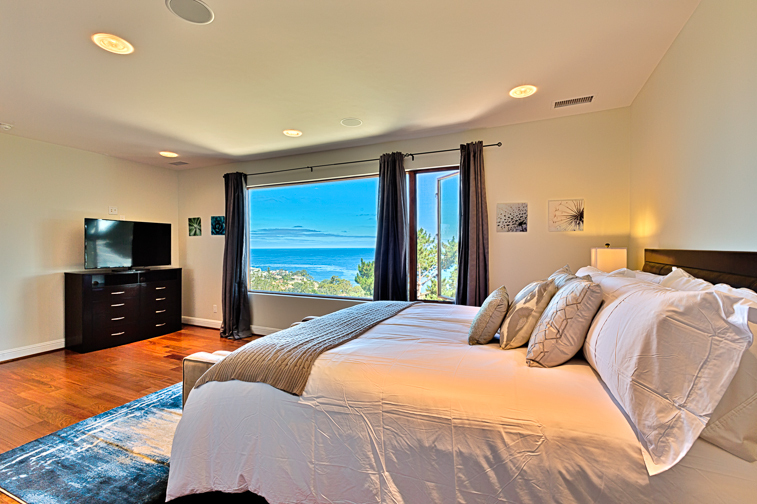 Second master suite with ocean view, walk-in closet, en-suite bath,and flat screen TV. Alternative view of the second master suite. En-suite bath for second master bedroom. 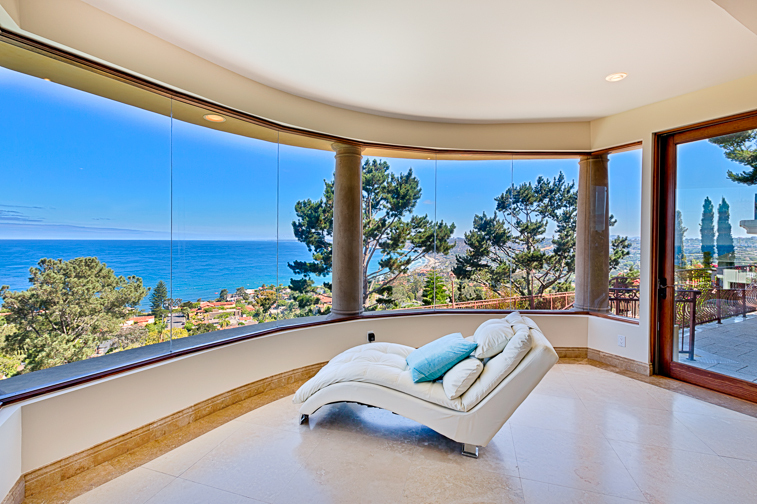 Exceptional ocean view from bedroom. 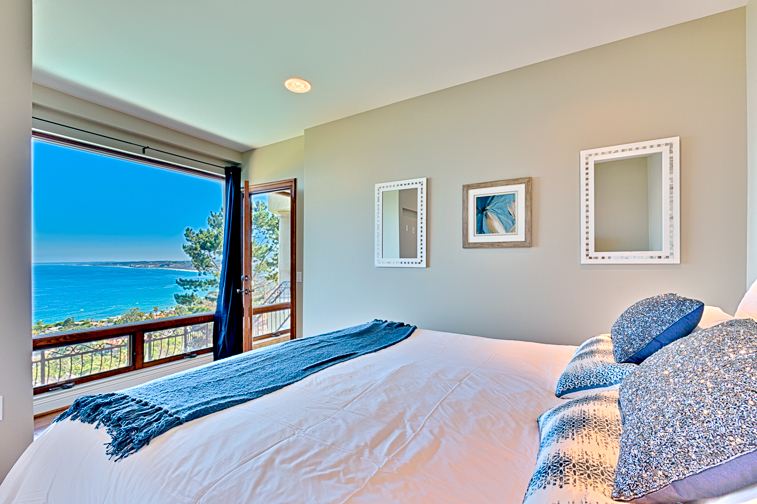 Further ocean views from bedroom. Picturesque view and flat screen TV. 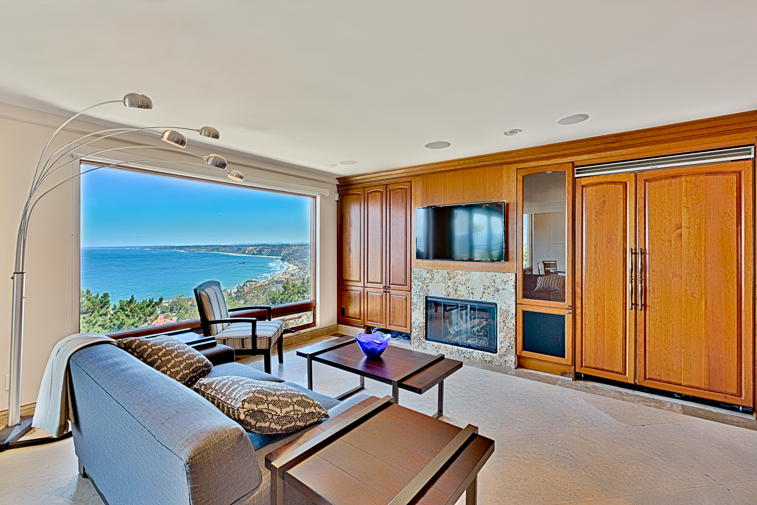 (fireplace not operable) Plush lounge chair with panoramic views of the Pacific! Accommodating living area. Additional seating area for guests. 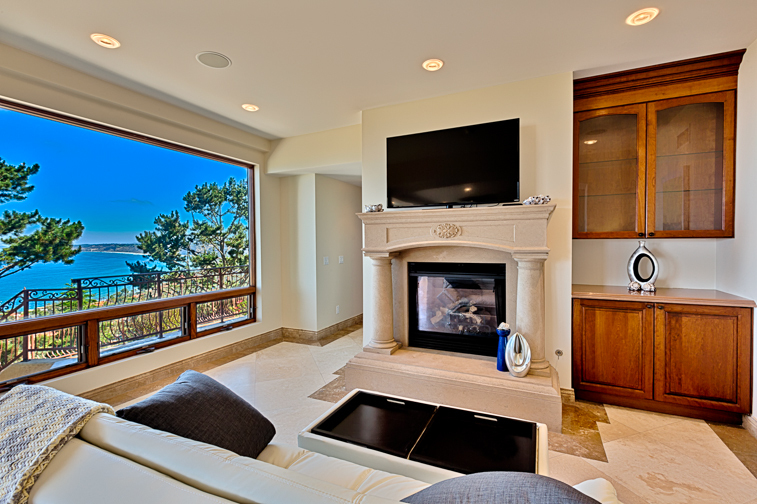 (fireplace not operable) Ocean view in with cozy seating and fireplace. 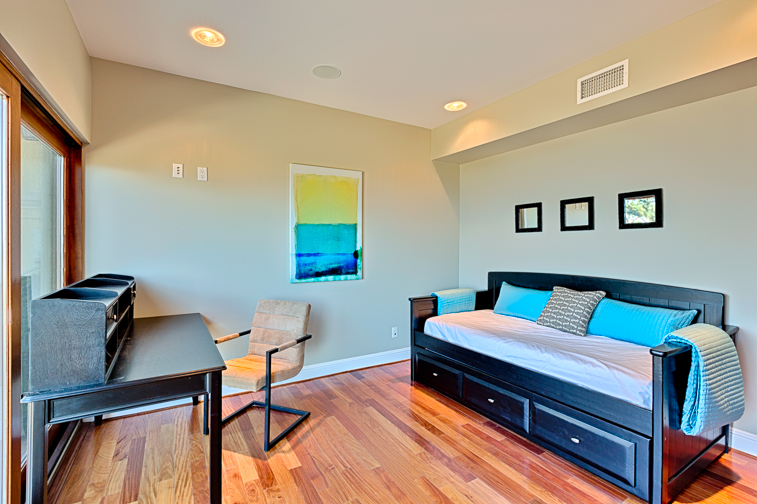 (fireplace not operable) Functional working area with trundle bed. Flat screen TV has been added to the bedroom. 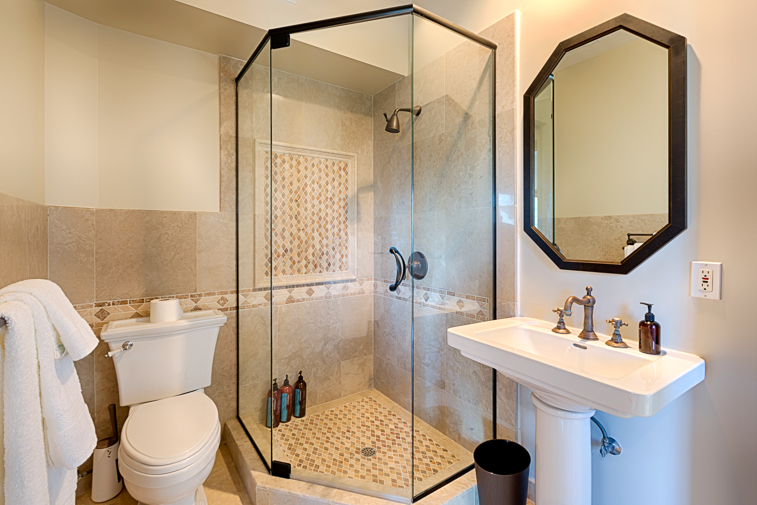 Orderly bathroom with stand up shower. 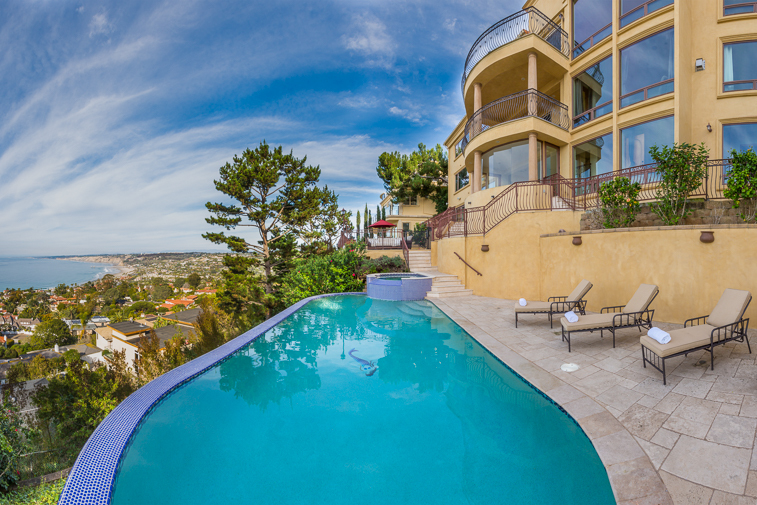 Infinity-edge pool overlooking La Jolla! 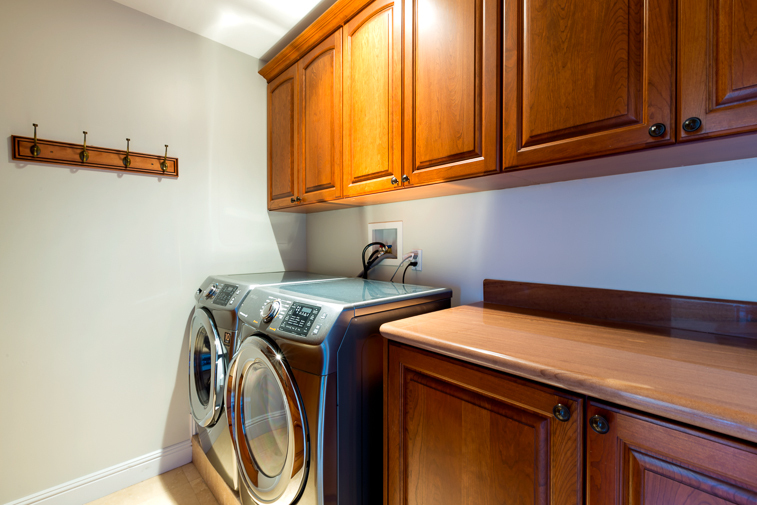 Updated washing and drying appliances. 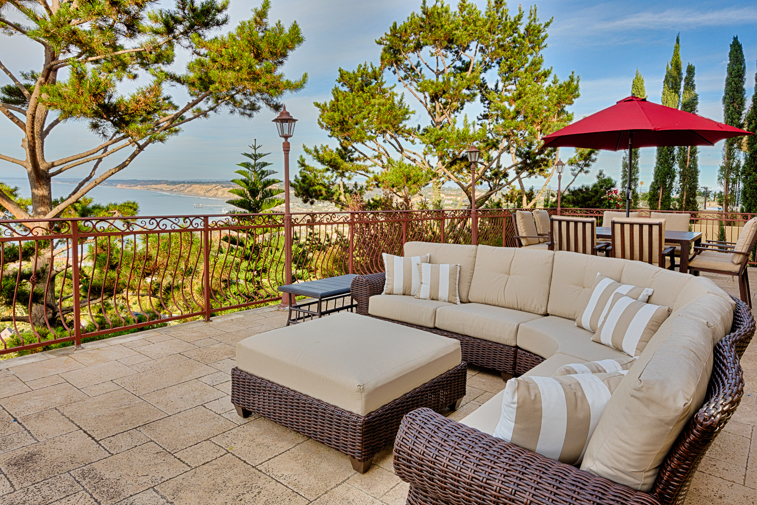 Plush terrace furniture overlooking pool and ocean. Cozy lounge area surrounded by natural flora and an ocean outlook. 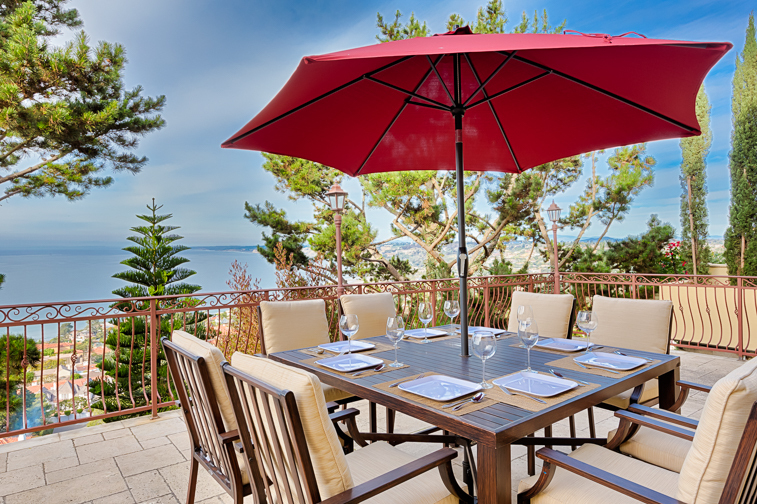 Dining area option for 8 on deck overlooking the Pacific Ocean. Sunny Sunsets' grand entrance! 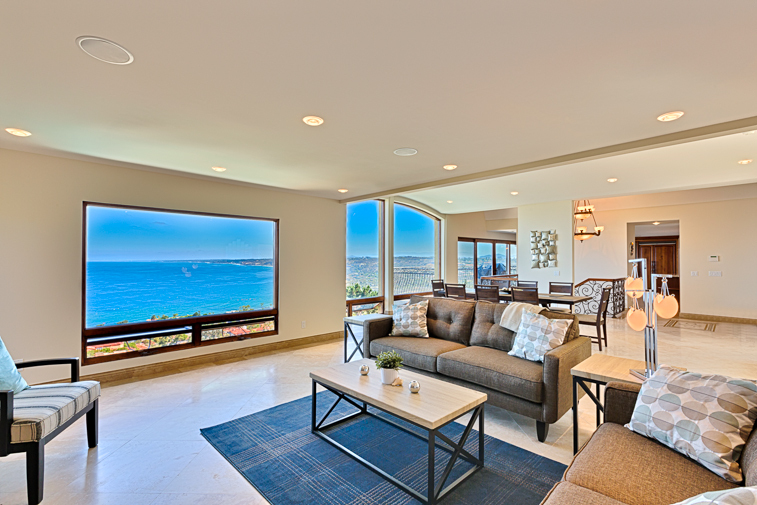 Absolutely awe-inspiring whitewater ocean and North Shore views can be enjoyed from this completely remodeled Mediterranean residence. 6BR/5.5BA plus a den or bonus room, a bar area with a wine closet, approximately 1500 square feet of view decks, and an infinity-edge pool. 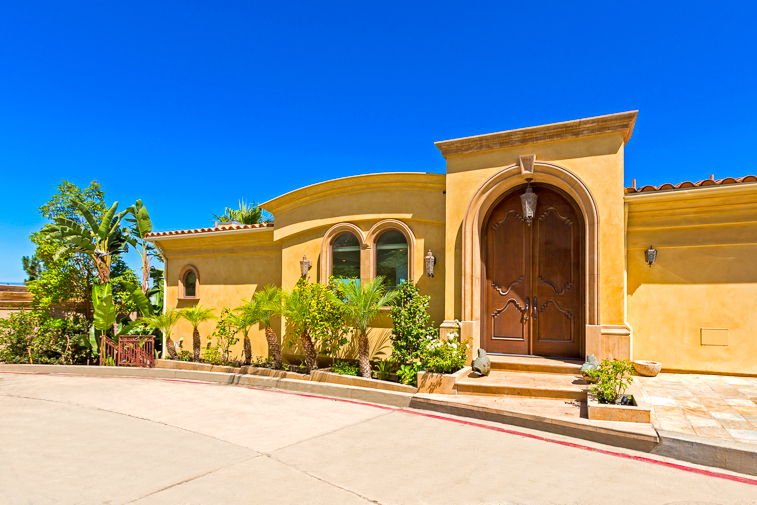 This magnificent Mediterranean residence, completely remodeled in 2007, boasts absolutely breathtaking panoramic whitewater ocean views from every room and has the feel of a new ultra high quality home. 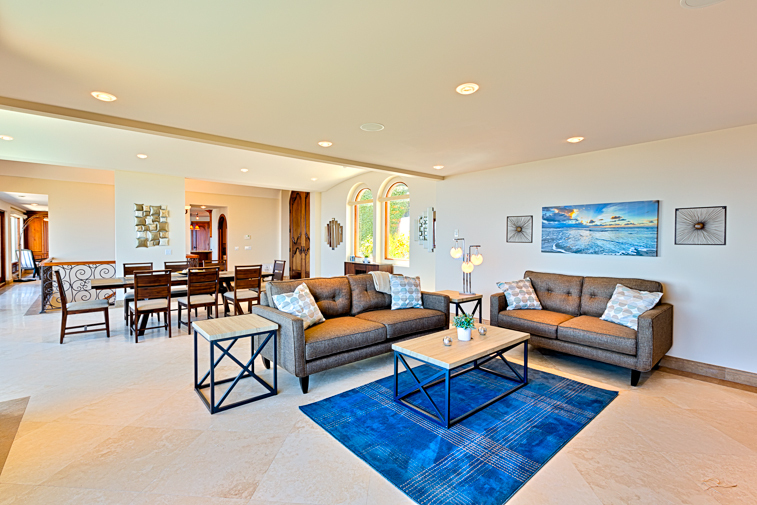 The spacious floor plan, approximately 5016 square feet, features expansive living areas with elegant travertine flooring, a bar, wine closet, mahogany doors, large picture windows & sliding glass doors that embrace the gorgeous views. The kitchen offers granite counter tops & large breakfast bar, cherry cabinetry, a pantry, wine refrigerator, and top of the line appliances. Quality is evident in every detail in each room. 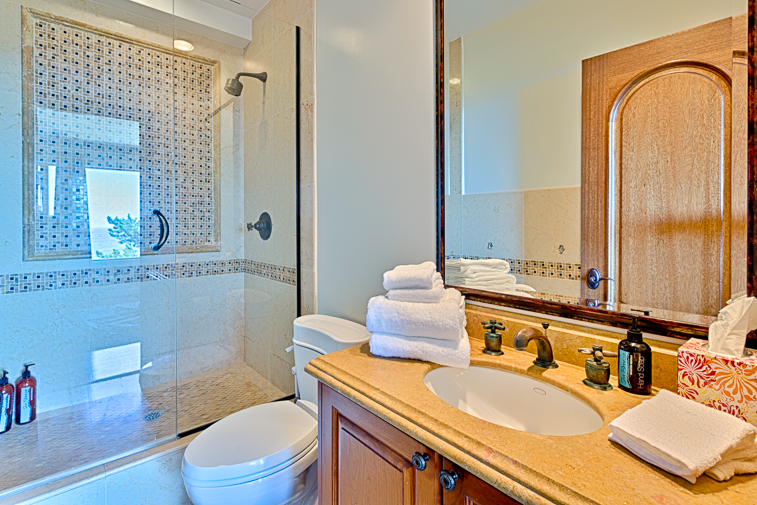 The Master suite is a beautiful view retreat with walk in closet, marble bath, and a separate large shower The second Master suite also offers spectacular views. and private bath. 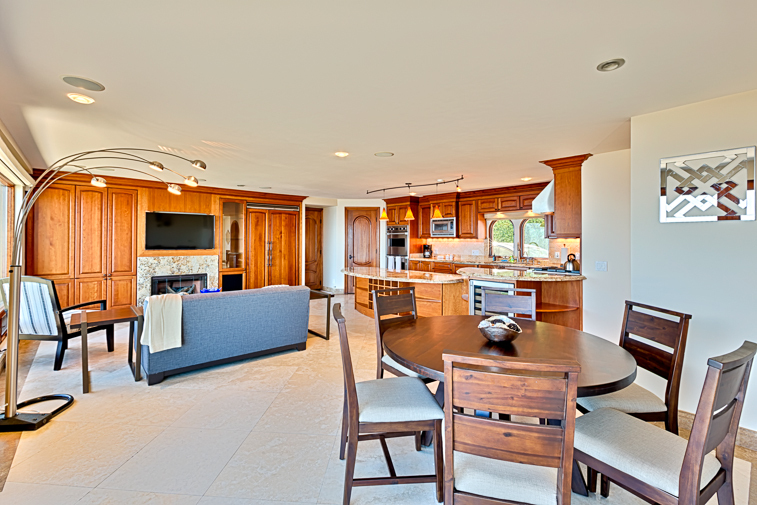 On a lower level, the spacious bonus room offers a separate bar area with wine closet and its own outside entrance.4 more bedrooms all have their own bathroom and ocean views. 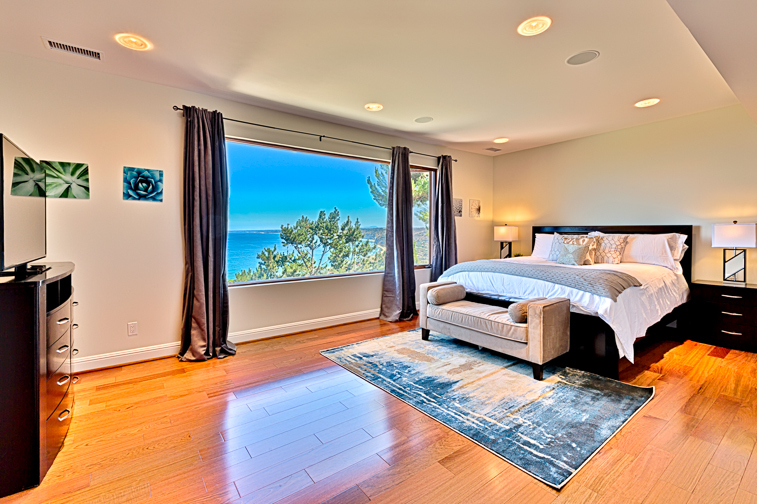 There are approximately 1500 square feet of expansive view decks, plus a beautiful heated zero edge pool. Pool can be heated for an additional fee. Other amenities include: 3 zones of central forced heating & air conditioning, central vacuum, security system, garage parking and more. Home is located up Hillside drive in a very private an exclusive neighborhood over looking La Jolla, just a 5 minute ride down the hill will take you to the best beaches and La Jolla Cove and Village for the ultimate in shopping and dining experience..
•This home is equipped with exterior surveillance as required by local city noise ordinance. •Additional pool heating fees may apply, please contract our reservations department for details. •This house is equipped with Air Conditioning. Additional fees may apply, so please contact our reservations team for details. •Per the owner's request, all fireplaces and the jacuzzi tub have been disabled. Beautiful home with beautiful views. Would love to come back and stay at this house again in the future! I spent a long weekend at Stunning Sunsets with 11 other women on my running team. We were in town to run the La Jolla Half Marathon. Each of us was beyond thrilled with our choice of this home. The views were incredible, the rooms were well appointed and had very comfortable beds and the living areas accommodated all of us as we visited throughout the weekend. The only thing we wished it had was a butler to bring us coffee in bed each morning! - Reviewed By Dawn C.
What a marvelous home to spend a week with the fam in! The views were unbeatable. You had a panoramic view right from the edge of the infinity pool. Simply stunning throughout the home. Looked like one of the mansions in a movie! Beautiful and specious villa with jaw-dropping views from every room. My family really enjoyed our stay. The pool, deck and spa were a great plus. The most amazing views and a great place to relax in complete privacy. We'll definitely come back. Well worth the price.